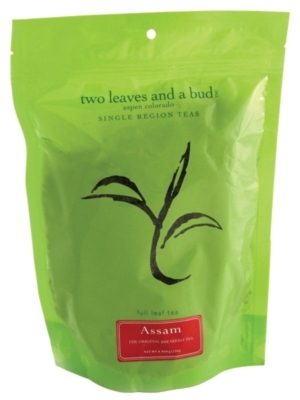 Two Leaves Tea - Organic Assam, Buy Loose Tea Online! Assam teas are rich, full flavored, black teas; their robust, but sweet taste makes a great breakfast beverage. Classic English Breakfast teas often contain Assam tea, but they are also usually made in a blend. With Two Leaves' Organic Assam tea, you get to assess the full range of this tea without any distractions. After a cuppa' this goodness, you might find it hard to start your day off any other way! Boil & Steep time: Full boil for 4 minutes.